Popbar offers PopGelato on a stick. This is a customizable ice cream on a stick. Pick a base stick, choose dip and toppings, et voila. Here is how they present themselves: "Our secret is simplicity itself. Freshness and high quality ingredients are the main contributors to the unique taste and quality of popbar. Unlike mass produced ice cream that can sit in a warehouse or grocery store for months, our popbars are made fresh daily in our PopLab, for everyone to see." As of today, they are located in New York only so, most of us will have to pass on this one. You can pick ice cream, sorbet of frozen yogurt as base for your creation. 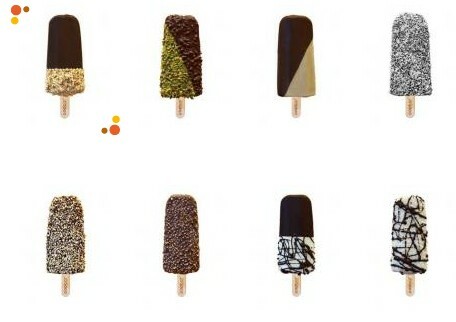 Follow the link to Popbar website.